The Scoop: The Chinese matchmaking site 2RedBeans.com operates under a simple philosophy: High-quality singles deserve high-quality dates. However, making that happen can be challenging, especially when Chinese culture often devalues intelligent and ambitious women. Thankfully, the 2RedBeans team has developed a distinctly non-traditional dating service that has empowered over 1.3 million Chinese singles to form meaningful relationships. Even in the 21st century, such backward thinking often persists in the Chinese dating scene, and many single men still prefer ditzy girls to strong, confident women. This leaves well-educated Chinese women to sit at home and wonder if they’d have a date if they were a little less impressive and competent. In 2010, 2RedBeans made a splash in the Chinese dating scene by facilitating marriages between equals. Q. Zhao can relate to the struggle of career-oriented and independent Chinese women — because she’s one of them. She earned her bachelor’s degree at the age of 19 from Xian Jiaotong University and went on to get her Ph.D. in electrical engineering from the University of California. In 2013, “Business Insider” named her one of the 13 badass immigrants in technology. Now Q. has put her degrees to good use by launching a dating site to support the single Chinese women of the world. She designed 2RedBeans as a matchmaking platform for modern singles who see intelligence and success as highly desirable qualities. By bringing this Western mentality to China, 2RedBeans aims to combat gender stereotypes that have been holding young women back for generations. 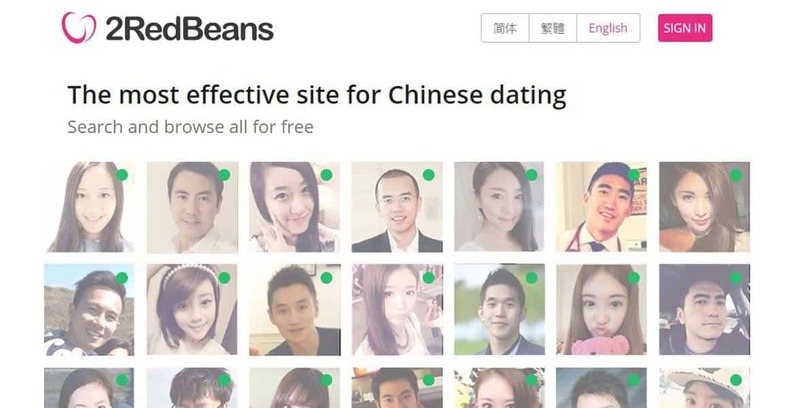 The startup’s forward-thinking and entrepreneurial spirit has captured the attention of young Chinese singles the world over, and 2RedBeans currently boasts a membership base of over 1.3 million singles. Since its launch in 2010, 2RedBeans has cultivated a safe and uplifting environment for singles who strive for extraordinary in everything they do. The dating site and app offers access to community events as well as intimate real-time conversations with mutual matches. The typical 2RedBeans member is a marriage-minded Chinese person who appreciates Western values and is open to nontraditional relationships. This isn’t the place to find a trophy wife or meal ticket. The platform promotes equal partnerships based on mutual interests and shared goals. 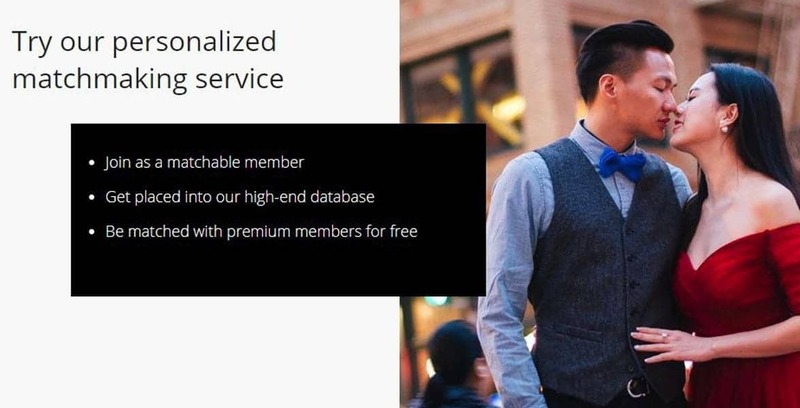 Singles can sign up with an email address or phone number and start browsing profiles for free. Sending messages, however, does cost a little extra. This subscription model ensures that everyone chatting is serious about making a commitment and finding love for real. Over 1.3 million singles have joined 2RedBeans in search of friendship and love. From the beginning, 2RedBeans has endeavored to cultivate a high-quality membership, and it has established strong security measures to keep out unsavory or undesirable individuals. One of the newest features in the works at 2RedBeans is face recognition software, which will eliminate all fake photos uploaded by scammers on the site. This will add a new layer of trust for users who can’t help but wonder if an attractive profile is too good to be true. The site’s stringent screening process has helped it maintain a good reputation as a place where sincere and smart singles can mingle freely. The 2RedBeans team can curate a match for Chinese singles in its international database. Whether you’re a Chinese single living in China or the U.S., 2RedBeans can introduce you to worthwhile individuals seeking a long-term relationship. The dating site has facilitated relationships across borders and across cultures, and the service is growing more popular as word spreads among the Chinese population worldwide. The 2RedBeans app currently has a 4-star rating on Google Play with many customers saying it helped them find dates or even meet the one. The idea for 2RedBeans began in Silicon Valley, where many tech startups have taken root. Q. saw a need for a dating platform for high achievers in China, and she took it upon herself to create the space where mature relationships could blossom. She knows for a fact that her dating site works because she actually met her husband there. She has experienced firsthand the impact 2RedBeans can have on a person’s life, and it has brought her great joy to make the future a little bit brighter for many worthy individuals. “It is very motivating for us to see people find their love through our platform or after taking our advice,” Q. said. The 2RedBeans team frequently shares their favorite success stories on the blog to give singles hope that love can happen at any time. The close-knit, 11-person team running 2RedBeans aims to make the platform more efficient for users by implementing an AI assisted matching system. It’s still in the works, but Q. said she is excited for its potential to increase the number of relationships formed on the site. In the last eight years, over 100,000 users have found love on 2RedBeans, and more success stories come out of the woodwork all the time. As the startup company has expanded to offer more international dating services, its influence has grown on a global scale. Recently, 2RedBeans acquired a small subsidiary company in China. Q. and her industrious team have become pioneers in the Chinese dating scene by maintaining a female-driven dating service where a new type of relationship can flourish. On 2RedBeans, competence is a virtue, and personal connections are strengthened by mutual respect. The dating site and app levels the playing field in China and empowers high-quality singles to meet someone who matches them in mind and spirit. As 2RedBeans grows larger and more successful, the team works on building momentum toward the site’s ultimate mission of improving the love lives of Chinese singles who refuse to settle for anything less than extraordinary.